The 2-1/2 in. Cordless Premium Faux Wood Blind by Home Decorators Collection brings effciency and chic to your home. Cordless blinds adds a cleaner look and are child safety cautious. These blinds are designed with 25% larger slats for greater view and features "no hole" for total light and privacy control. Slats are made from heat and moisture resistant material that are energy effecient and will not warp or crack. They are ideally used for bathrooms, kitchens, and garages. For a contemporary style the blinds include a 3in. decorative crown valance that complements any decor. 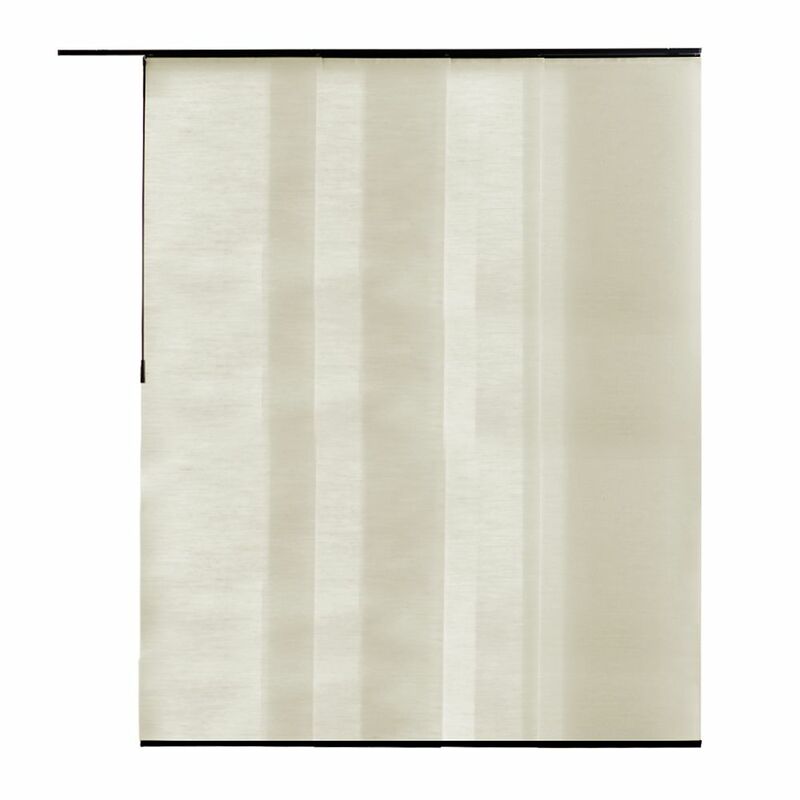 Panel Fabric Maui Natural 21.5-inch x 84-inch (Actual width 21.5-inch) Versatile and ultra-chic, these sliding panels are designed to be used as a simple yet stylish solution for covering large windows or patio doors, closet openings or to be used as room dividers. Sliding Panels are made from durable materials and offer light filtering properties. The panel length can easily be adjusted at home with a pair of scissors. Pair these sliding panels with the compatible Panel Track Head rail to refresh your room decor today.